CWG 2018 Day 10: India ended Day 10 of the Games with 59 medals overall. India crossed the 50-medal mark at the 21st Commonwealth Games on the penultimate day. Indian boxers led the charge today, with boxing great MC Mary Kom winning her first Commonwealth Games gold. Then came gold medal wins from Gaurav Solanki and Vikas Krishnan. Boxers Manish Kaushik and Satish Kumar settled for silver, and Amit Pangha for bronze. India won four more medals in wrestling, with medals coming from Vinesh Phogat, Sumit Malik, Sakshi Malik and Somveer. Meawhile, Neeraj Chopra and Manika Batra created history after winning India’s first gold medals in Javelin throw and women’s table tennis singles respectively. In shooting, Sanjeev Rajput won gold in the men’s 50m rifle three position event. And the Indian men’s and women’s hockey team will return home without a medal after their lost to their English counterparts in the bronze medal match. India lose bronze medal match against Malaysia in straight games. They lost 21-19, 21-19 in the mixed doubles match. Indian boxing legend M C Mary Kom, who claimed a gold medal on debut at the Commonwealth Games, will be India's flagbearer at the event's closing ceremony here tomorrow. In the mixed doubles, India lost the first game 21-19 and is also trailing in the second game 4-3 against Malaysia. Despite throwing a few powe-packed punches, Satish Kumar fails to take home the gold in his bout against England's Frazer Clarke. Boxing at the Commonwealth Games comes to an end with his bout. Indian boxers finish the Games with three golds, two silver and two bronze. After taking the lead in game 3, India lost the next two games to England and settled for silver in the men's doubles final match. They lost the match 3-2. Shuttler H S Prannoy loses bronze medal match against England's Rajiv Ouseph in straight games. The score was 21-17, 25-13 and 21-9. In the men's table tennis doubles gold medal match, India lost the first game 11-3 against England. They are currently leading 5-3 in the second game. H S Prannoy trailing in bronze medal match. Shuttler H S Prannoy lost the first two games 21-17, 25-23 against England's Rajiv Ouseph. He needs to win the third game to have any hopes of staying alive in this bronze medal match. Vikas Krishan wins his first Commonwealth Games gold. He defeated Cameroon's Dieudonne Wilfried in a unanimous verdict. The Indian men's hockey team will return home without a medal at the Commonwealth Games. They lost the match 2-1 against England in the bronze medal match. Dipika Pallikal and Saurav Ghosal settle for silver in the mixed doubles squash event. They go down fighting 11-8, 11-10 against Australia's Donna Urquhart and Camron Pilley. The gold medal match in the mixed doubles squash event will begin shortly. Dipika Pallikal and Saurav Ghosal will face home crowd favourites Donna Urquhart and Camron Pilley of Australia. Sikki Reddy and Ashwini Ponnappa take home the bronze after winning their second game 21-19. They also won their first game 21-19 against Australia's Setuana Mapasa and Gronya Somerville. Dissapointment for India in the men's 4x400m relay final. They fail to finish race. The gold went to Botswana and The Bahamas and Jamaica took home silver and bronze respectively. Sikki Reddy and Ashwini Ponnappa are currently tied in the second game 13-13 against Australia's Setuana Mapasa and Gronya Somerville. They won the first game 21-19 in their bronze medal match. Earlier, Sumit also won gold in wrestling when his opponent failed to show up in the gold medal match. Was already assured of a medal earlier - only became a formality later. VINESH PHOGAT WINS GOLD! 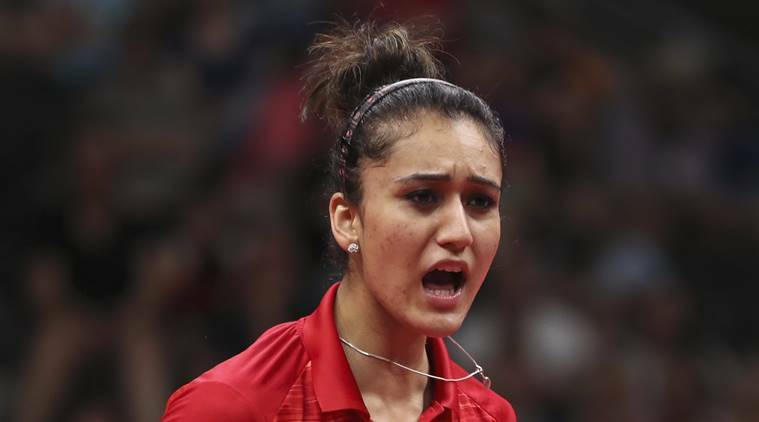 Vinesh Phogat with a resounding win in the 50kg freestyle wrestling category to beat multiple-time World Champion Jessica Macdonald of Canada. SAKSHI MALIK WINS BRONZE! She's far from pleased after a close 6-5 win in the crucial contest. Hasn't been a great outing for the 2016 Rio Olympics bronze medallist. Sharath Kamal will have to compete in the bronze medal match afterall. He goes down to Nigeria's Quadri Aruna 10-12, 9-11, 9-11 and 7-11. India in Lane 4 for the Women's 4 X 400m Final. A team comprising of Sonia Baishya, Poovamma Raju, Gayakwad Saritaben Laxmanbhai and Hima Das. India's national record stands at 3:26.89. Finish with 3:33.61 to finish seventh. Gold for Jamaica, silver for Nigeria and bronze for Botswana. What a proud moment this must be for all! Arpinder Singh was in third place for the most part of his Men's Triple Jump final. Started off with a 16.35 metres and improved to 16.46m in the fourth attempt. But is eclipsed by Marcel Mayack of Cameroon in the last and final jump to push him down to fourth. And that's how it finishes. Troy Doris of Guyana wins gold with a season best of 16.88 metres. Hey AFI are you listening? NEEERAJ CHOPRA WINS GOLD! His last attempt is a no throw and he finishes with a best of 86.47 metres - season's best. Gets a standing ovation from the crowd. What a show from the 20-year-old! It is only the fourth individual gold for an Indian in track and field sport at CWG. 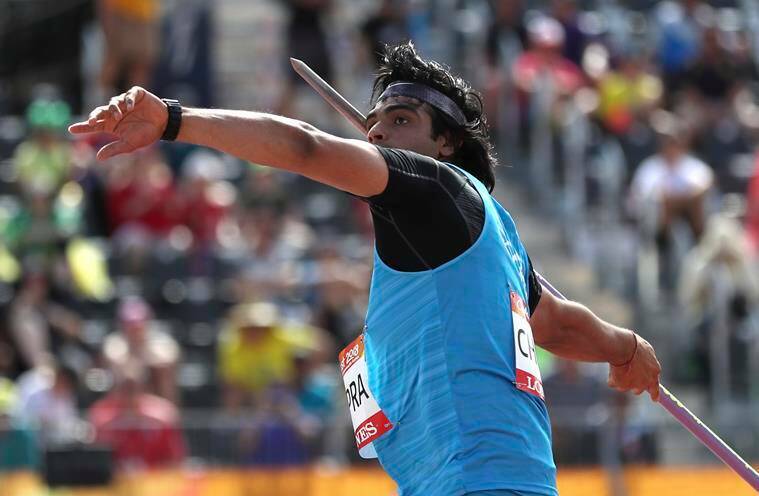 Milkha SIngh (men's 440 yards), Krishna Poonia (women's discus, 2010) and Vikas Gowda (men's discus, 2014) preceded Neeraj Chopra. HS Prannoy produces a strong effort to push former World No 1 Lee Chong Wei all the way but the Malaysian holds on to win. Prannoy goes down 16-21, 21-9, 14-21 in just under an hour. In a repeat of last Commonwealth Games' gold medal match, PV Sindhu downs Michelle Li of Canada with utter ease 21-18, 21-8 in just 36 minutes. Been an absolute masterclass from Sindhu here. Gets the job done with an exquisite drop shot. SAINA NEHWAL VS PV SINDHU FOR GOLD! At 42 medals, India's current position on the leaderboard is no 3 and it is unlikely to change considering England, who are above them, have got 99 - 57 more than India. Australia, who lead the standings are soaring at 168. More importantly, India have got 17 golds while England and Australia have got 31 and 65 respectively. It is here that the last two days become important. Canada lead India by total medal tally but have three lesser golds than India have because of which they are fourth. India, in order to stick to its third position, need to win as many golds as they can on Day 10 and 11. If they do, this will be India's best finish since the 2010 Delhi Games.